During a panel discussion at last week’s Nassau Conference, Abel Francisco Mejia-Cosenza, partner at Mexican law firm Sanchez Devanny, outlined the areas of opportunity in Mexico where there are around 145,000 millionaires worth $736 billion. 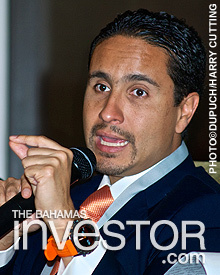 “There is a lot of opportunity on the private wealth side,” he said and advised Bahamian professionals to make connections with Mexican law firms and promote tax compliant structures that would meet the demand for transparency, compliance and flexibility among high-net-worth individuals. Mejia-Cosenza said that SMART Funds and the recently launched Investment Condominium (ICON) fund should prove as popular with Mexican investors as they have in Brazil. ICON was first introduced to Brazilian fund advisors in August this year during a Bahamas Financial Services Board Brazil Landfall event. According to Humberto Sanches, partner at Ulhoa Canto Rezende e Guerra, it has been welcomed by that market as it is very unique and models the structure of Brazilian funds. 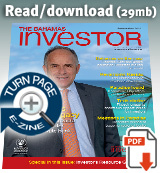 The ICON fund entails investors agreeing to pool assets so they may be invested as a collective. It was designed primarily for the Brazilian market and is a key part of The Bahamas’ efforts to make inroads into the niche fund market in Latin America. Minister for Financial Services Ryan Pinder has called for a stronger presence of foreign law firms in The Bahamas, saying that international expertise will help the country compete as an offshore financial hub and more effectively address client needs.